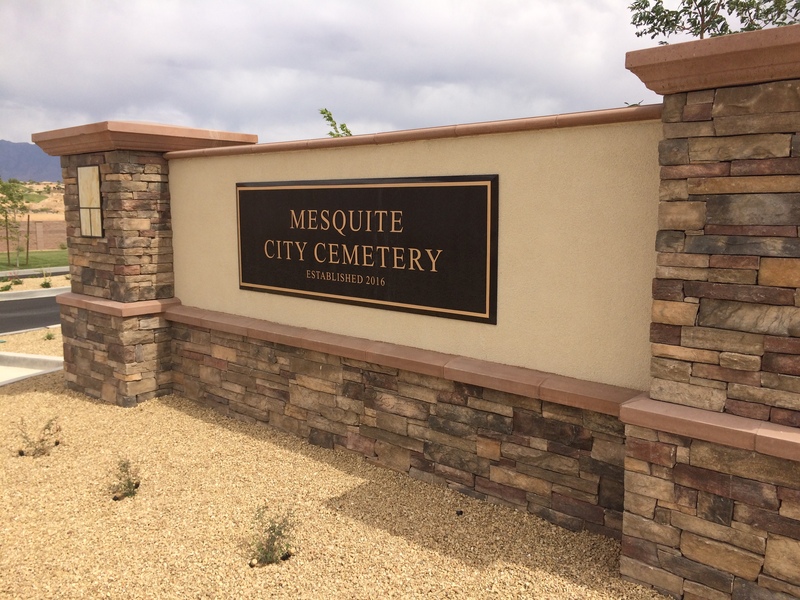 MESQUITE, Nev. — Mayor Allan Litman and members of the City Council will officially open the new Mesquite City Cemetery, located at 1362 Hardy Way, on Wednesday at 10 a.m. This first phase of the cemetery has 814 cremation inurnments and 1,339 lawn burials. The new cemetery also incorporates a new veterans section with both cremation and full-body lawn burials areas. There are two more expansion areas master planned within the cemetery that will be constructed as the need arises. Starting in November 2016, TradeWest Construction built the cemetery over a five-month period at a cost of $1,283,000. EDA Land Planning and Forsgren Associates worked on the master plan and design. The public is invited to participate in the ribbon cutting. Parking will be available on-site. What: Ribbon cutting ceremony for new Mesquite cemetery. When: Wednesday, May 17, at 10 a.m.
Where: 1362 Hardy Way, Mesquite, Nevada.